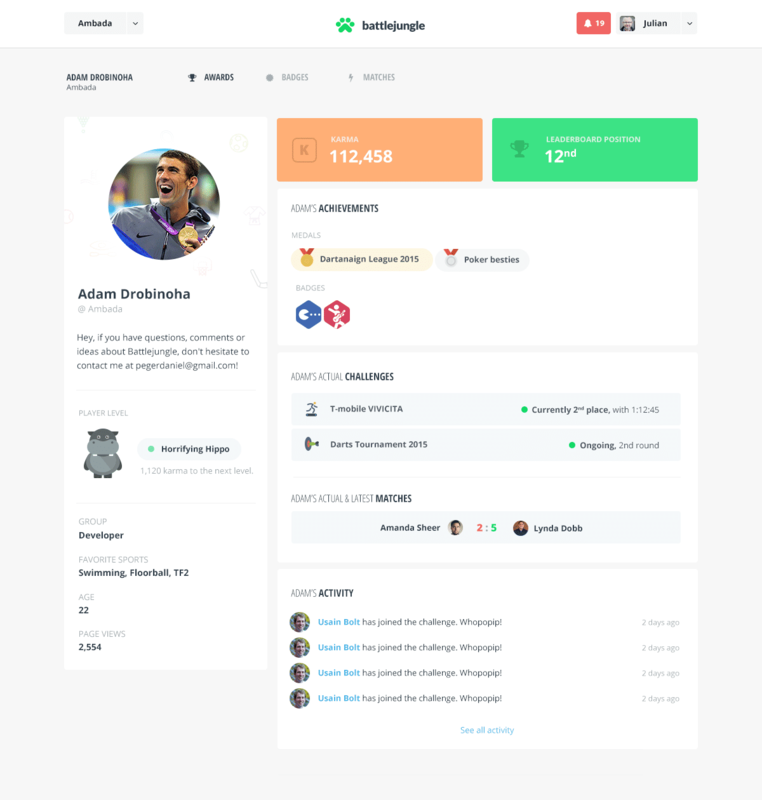 This gamification software comes enriched with a myriad of essential features that assist in engaging and motivating corporate officers.This tool can appropriately measure and showcase the performance of the individual officers and their collective output through features like performance metrics leaderboards / activity tracking and feedback management.To make the employees more competent, it can support healthy competition through features like contest management and rewards management. 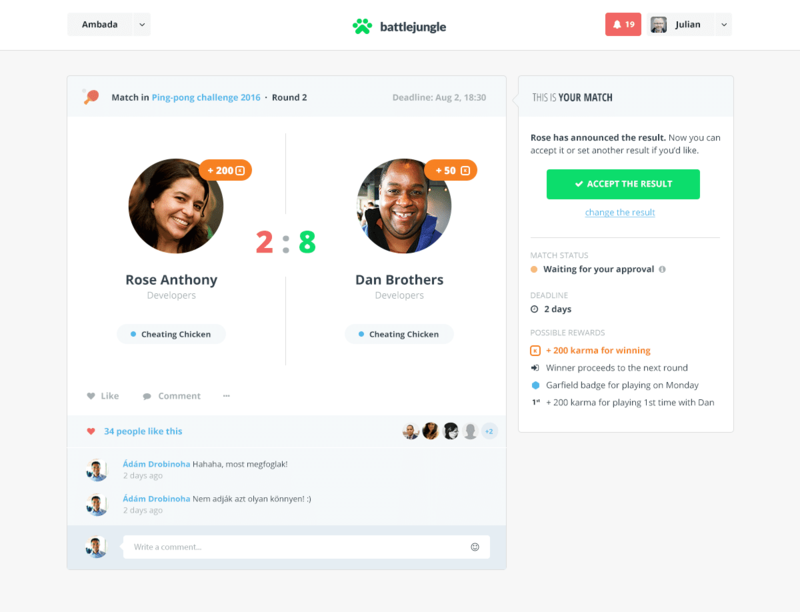 Battlejunge is suitable for call centers, onboarding and developers.It is a highly engaging gamified tool that can positively affect your employees. How much does Battlejungle cost ? 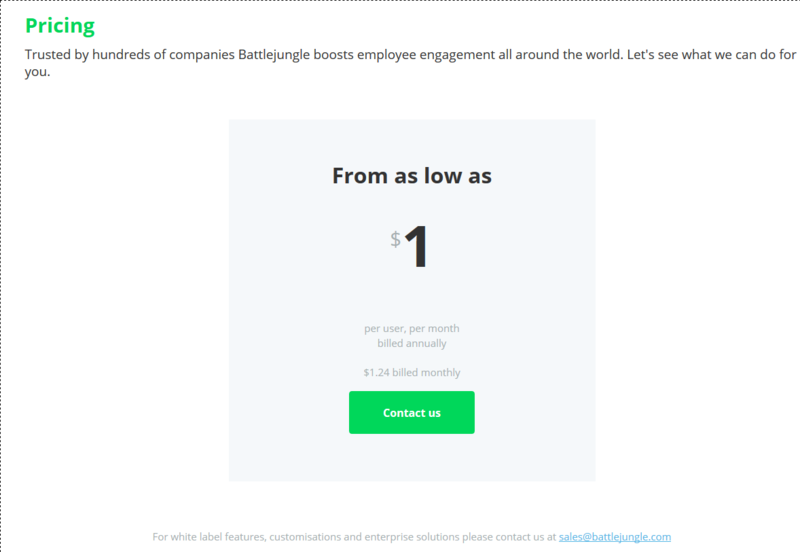 The pricing for Battlejungle starts at $1.0 per user per month. Battlejungle has a single plan - PRO at $1.0 per user per month. Battlejungle also offers a Free Plan with limited features. Free for small businesses or try out up to 16 users (no credit card needed). Easy switch to PRO version any time, and pay only after active users. "Fun in the workplace? Absolutely!" Battlejungle was SO easy to use, for both administrators setting it up an d for the team to use and participate. Easily customizable with tons of options, we were able to right-set our level of communication, activity and involvement. 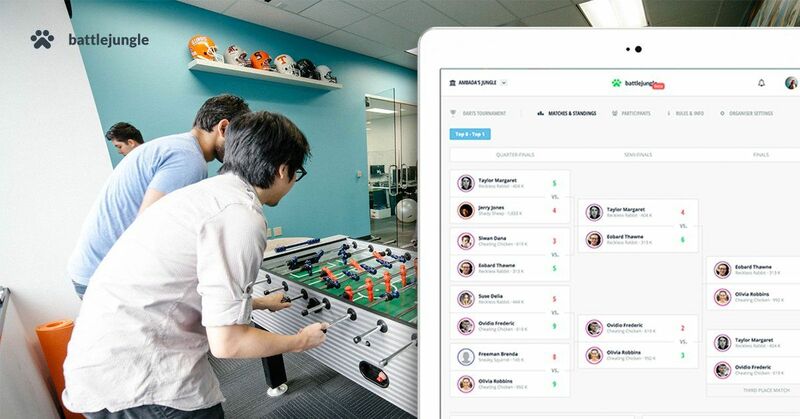 We will definitely continue using this as a collaborative, team building, and employee engagement tool for the future. Sometimes it has trouble syncing, or so it seems, with the WI-Fi, but it was generally connected and well functioning. It only happened a handful of times over several months, yet it just so happened during a period of highly competitive activity for our team. Just an unfortunate coincidence I think. If you want a fun and easy way to engage teams beyond the day-to-day work discussions and meetings, then this is absolutely the platform for you. This is all about team engagement and team building. It shows what others are doing and provides a fun way to get competitive and interactive and to stay truly active (our program centered around fitness/activity goals). Our team is already noticeably more collaborative and connected, which for our particular group is absolutely critical to job function.